The American Alpine Club has been a strong supporter of the Michigan Ice Fest for many years. Each Ice Fest we participate in an AAC Membership drive where each person who joins the AAC during Ice Fest is automatically entered into a raffle where you are guaranteed to win a prize. How can you beat that? There are plenty of perks when you join the AAC But if you really want to know what the AAC is all about, why it’s important, take a look around you. Look to the person holding your rope during that sketchy run out. Look to the mentor who first showed you how to belay. The partner throwing you a high-five at the summit. Your local legends. The gal next to you cracking a cold beer around the campfire. The AAC is about all of these people. It’s about community—about coming together. It’s about the legacy that is climbing, and celebrating it. Any questions about the benefits of the AAC? If so be sure to stop by their booth at Ice Fest headquarters. 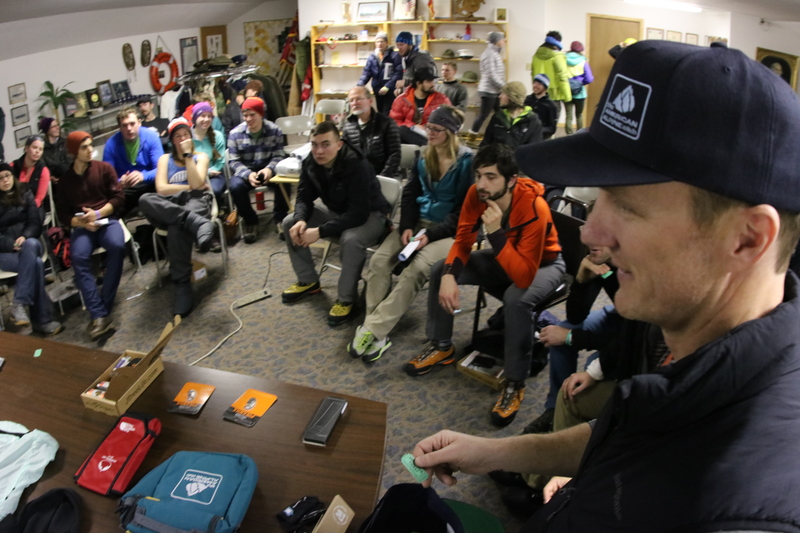 We are proud that last year we registered more than 150 new members to the American Alpine Club!